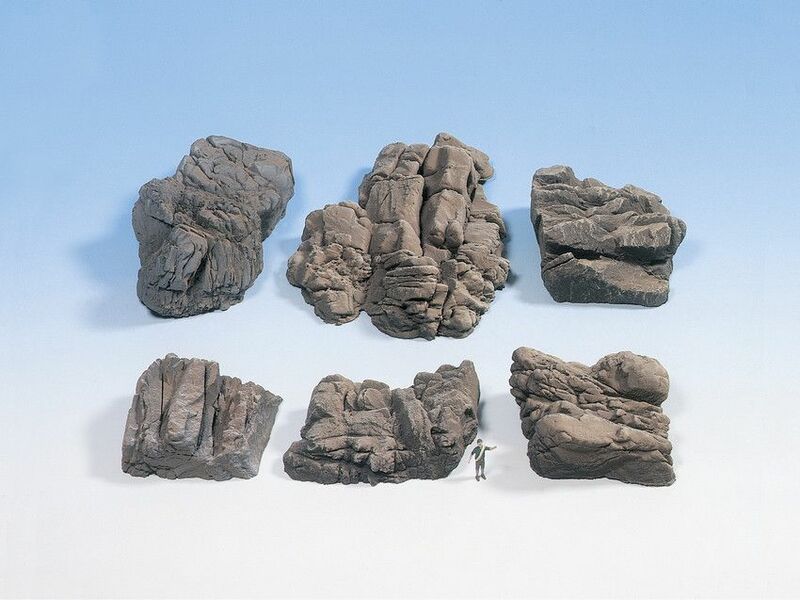 A pack of 6 large professionally sculpted & detailed sandstone rocks by Noch. 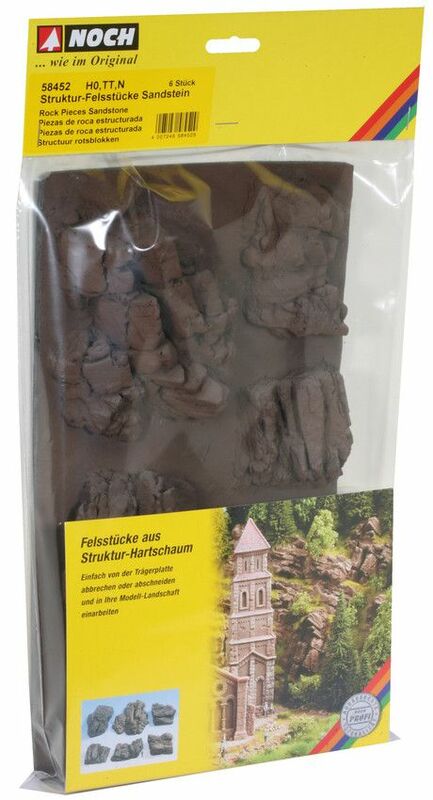 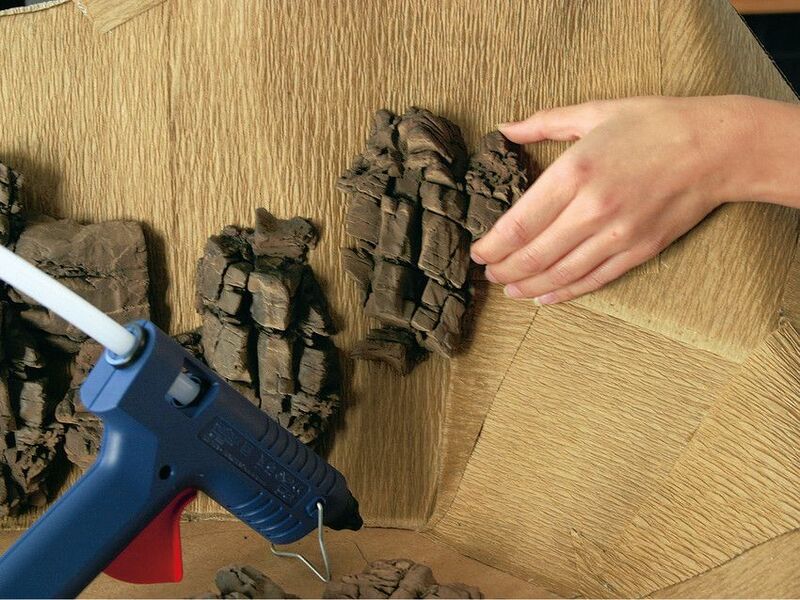 The 58452 Hard Foam Sandstone Rocks take all the hard work out of adding realistic rocks to your layout. 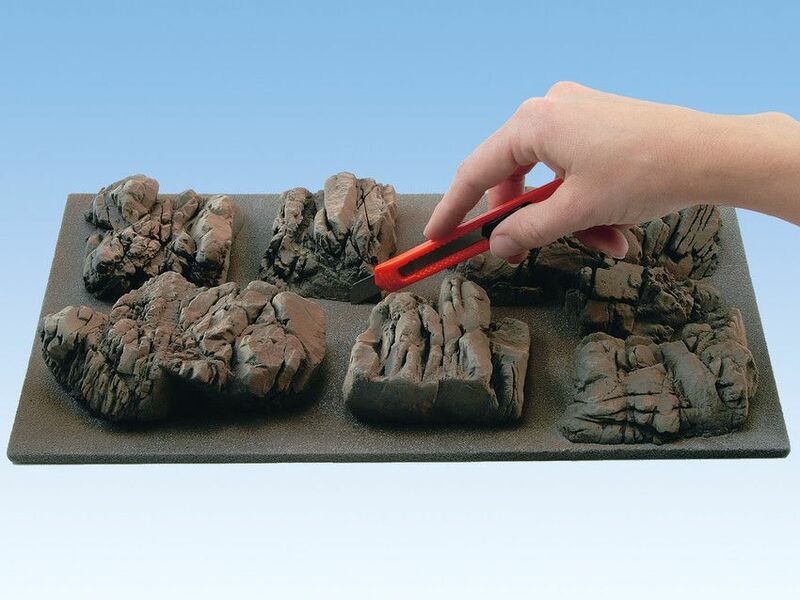 Whether you're building a large mountain range or just need to top off a section of hilly landscape, these are perfect for the job.